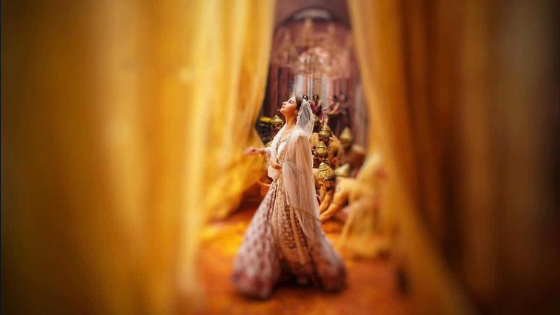 Since the first look, character posters and teaser of Kalank were launched, the josh has been high for this film starring Alia Bhatt, Varun Dhawan, Aditya Roy Kapoor, Madhuri Dixit Nene and Sanjay Dutt. Now with a month to go for the film’s release, we hear that Ghar More Pardesiya, the first single from the film’s soundtrack releases tomorrow. Here’s what you need to know. The video will see Roop (Alia Bhatt) and Zafar (Varun Dhawan) cross paths for the first time at Bahaar Begum’s (played by Madhuri Dixit Nene) haveli by the lake in Husnabad. This happens against the backdrop of a “visually stunning” classical dance drama that retells the age-old tale of the Ramayana.